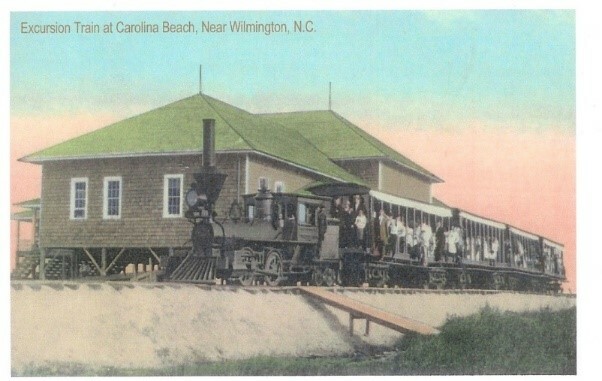 In 1887 the pavilion in this postcard opened to excursionists at Carolina Beach. It was located near the end of Harper Avenue on the ocean. 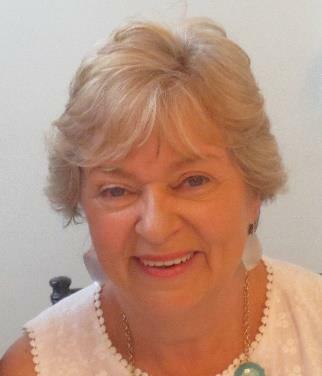 That street was named for Captain John Harper, a steamboat captain and one of the partners of the New Hanover Transit Company that operated the new resort. Captain Harper brought the beach visitors from Wilmington down the Cape Fear River by steamer to a wharf first at Sugar Loaf and later Doctor’s Point. At the wharf they boarded the Shoo Fly train for the rest of the trip to the sea beach with the train taking them right to the back door of the pavilion. Henry Bonitz, who designed the famous Lumina at Wrightsville Beach, also designed the 1887 pavilion at Carolina Beach. It burned in 1910 and was replaced in the same location with a new pavilion also designed by Bonitz that opened in 1911. 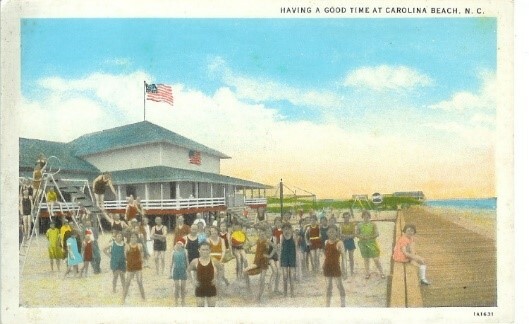 This post card shows the 1911 building with swings, slides and other playground equipment for the kiddies. The pavilion was the center of activity at the beach during the season with a bath house where you could rent bathing suits and get a shower after a dip in the ocean. Evenings and weekend afternoons, orchestras played for dancing and concerts. Holiday activities and celebrations were also held there, even boxing exhibitions. On September 19, 1940 a fire began in the pavilion that destroyed it and over two blocks of the boardwalk including the Bame Hotel. Amazingly the boardwalk businesses rebuilt in time for the opening of the 1941 season earning the nickname “The South’s Miracle Beach”. Interestingly, the arcade that burned September 25, 2014 was in the same location as the pavilions and was one of those buildings reconstructed in 1941. Both fires were in September and 73 years apart, thankfully our recent one was way less serious.